Click on the below icon to hear samples of my songs or download my album for free! "We're all going somewhere" is a collection of some of my favorite original songs I have written and recorded over the years. I play piano, keyboards, a little guitar and programmable drums and I have been writing and recording music for over 20 years. The tracks are mostly easy listening and mid tempo. The last few songs on the CD are rock and roll. 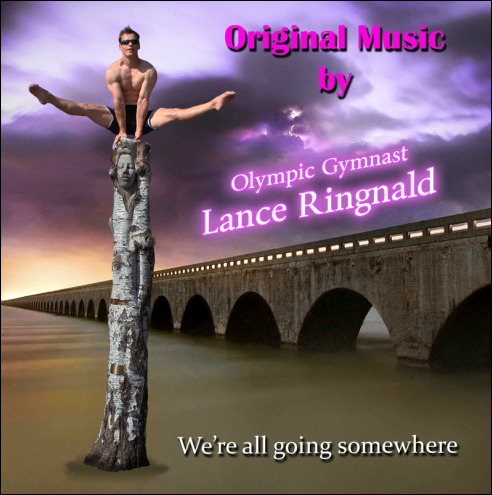 If you want to check out something new or are just curious what kind of music an Olympic gymnast would write and record, click on the link to hear samples of the songs that are on my CD or download my album for FREE.